She could have drowned if a dove up a nearby tree had not seen her. 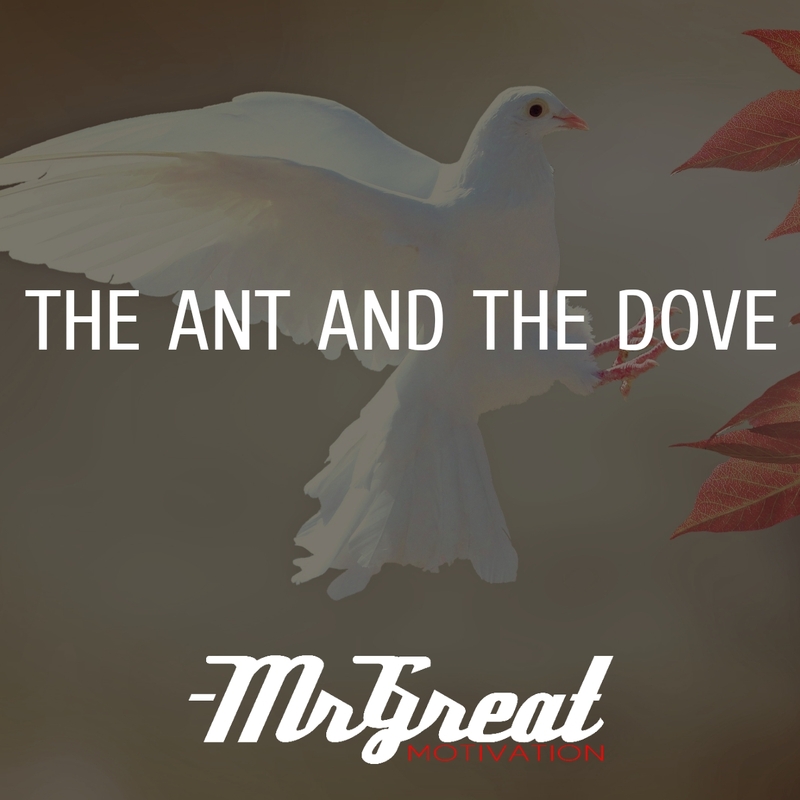 Seeing that the ant was in trouble, the dove quickly plucked off a leaf and dropped it into the water near the struggling ant. The ant moved towards the leaf and climbed up there. Soon it carried her safely to dry ground. Just at that time, a hunter nearby was throwing out his net towards the dove, hoping to trap it.